Community-based organizations play a critical role in connecting low-income families to public benefits, such as food, medical and cash assistance, that help make ends meet. Accessing these benefits often requires navigating complex rules and paperwork at County Job and Family Services (CJFS) offices, leading many vulnerable families to turn to trusted intermediaries for help. Despite recent modernization meant to streamline the application and enrollment processes, the need for guidance and troubleshooting from expert community assisters remains high. Many organizations across Ohio – including health care providers, community action agencies, food banks, soup kitchens, faith-based organizations, schools, shelters, cultural alliances and legal aid – have experienced staff who can assist individuals struggling to apply for, renew or reinstate these critical benefits. Without these “community assisters” (as this paper refers to them) who can reach people where they live, work, learn and pray, thousands of eligible individuals would likely go without needed food, medical care, housing and other essentials each year. Without these “community assisters” who can reach people where they live, work, learn and pray, thousands of eligible individuals would likely go without needed food, medical care, housing and other essentials each year. Ohio’s new online application system for Medicaid, SNAP and TANF does not provide a dedicated portal for trusted, community assisters to submit applications on behalf of their clients. Ohio Benefits’ technology contractor Accenture built a unique portal for authorized representatives in Kansas, which could be modified to meet the needs of community assisters in Ohio. Community assisters will continue to play a critical role in connecting low-income families to the benefits and services they are eligible to receive. Ohio’s next administration should continue to improve and enhance Ohio Benefits to ensure that consumers, caseworkers and community assisters can seamlessly access the system. Recent census data shows that, despite a strong national economy, Ohio’s poverty rate remains high at 14 percent overall and 20 percent among children. Food insecurity, defined as lack consistent access to enough food for an active and healthy life, affects nearly 14 percent of Ohioans, putting the state above the national average. Public benefits like Medicaid, the Supplemental Nutrition Assistance Program (SNAP, formerly called food stamps), and cash assistance (part of the Temporary Assistance for Needy Families, or TANF, program) are lifelines for families struggling to overcome poverty and food insecurity. In the past, Ohio has been fairly successful in connecting eligible households to these benefits. In 2015, 87 percent of eligible Ohioans participated in SNAP, as well as 93 percent of eligible children and 85 percent of eligible parents who receive Medicaid benefits. [4a] [4b] This success can be attributed, in part, to federal and state investments in community-based outreach, education and application assistance. Public benefits like Medicaid, the Supplemental Nutrition Assistance Program, and cash assistance are lifelines for families struggling to overcome poverty and food insecurity. Community assisters help eligible residents overcome very real enrollment barriers, including incomplete information about available programs, complex paperwork requirements, lack of transportation or access to technology, limited English proficiency and social stigma associated with government assistance. Community assisters have deep connections to the people they serve and are trusted to preserve an individual’s privacy and dignity. Furthermore, community assisters typically have years of experience helping residents navigate the benefit application process and can advocate for, and troubleshoot with, their clients when problems arise. Community assisters have deep connections to the people they serve and are trusted to preserve an individual’s privacy and dignity. National surveys show the importance of community-based assistance to successful enrollment outcomes. For example, consumers who receive in-person assistance to access new healthcare options in 2013-2014 through Navigators and Certified Application Counselors were twice as likely to successfully enroll in Medicaid or through the Federal Marketplace as those who tried to enroll online without help. In regards to SNAP, several independent studies show that comprehensive, community-based application assistance can result in statistically significant increases in participation, particularly among hard-to-reach populations, such as older adults and the working poor. [6a] [6b] In both programs, county caseworkers are still responsible for determining eligibility, but trusted community assisters help to ensure high-quality applications and supporting documents arrive at their doors. Ohio is fortunate to have many organizations that serve as formal, or informal, community assisters. Ohio is fortunate to have many organizations that serve as formal, or informal, community assisters. These organizations help their clients stabilize their lives with public benefits so they can successfully achieve other goals, like securing suitable training or employment. For more than a decade, the Ohio Association of Food Banks (OAFB) has led a network of as many as 1,200 organizations statewide that provide application assistance for a wide range of benefits through the Ohio Benefit Bank. One of the largest partners in the network, the Greater Cleveland Food Bank, assists with approximately 25,000 applications each year. OAFB also operated Ohio’s largest Affordable Care Act Navigator program from 2013-2017, helping thousands of Ohioans enroll in health coverage. In 2018, the Ohio Department of Job and Family Services (ODJFS) and Department of Administrative Services (DAS) rolled out a sweeping conversion of SNAP and TANF caseloads from the legacy CRIS-E system to the web-based Ohio Benefits system, which has been in use for Medicaid since late 2013. Other major technology changes accompanied the conversion to Ohio Benefits, including the introduction of “shared services” call centers, a new statewide document management system and an interactive voice response (IVR) system for citizens to get automated case information. ODJFS did not develop a statewide plan to educate community stakeholders about these significant changes, leaving it up to counties to do so if they have the interest and capacity. [10a] [10b] Widespread confusion in some counties after the conversion led many Job and Family Services (JFS) clients to contact community assisters for help. Widespread confusion in some counties after the conversion led many Job and Family Services (JFS) clients to contact community assisters for help. The Ohio Benefits Self-Service Portal (found at benefits.ohio.gov) is the consumer-facing portion of the Ohio Benefits system and allows individuals seeking assistance to apply for SNAP, Medicaid and cash assistance online. Applicants must create a username and password, and answer security questions before they can begin. Those who cannot, or prefer not to create an account and complete the application on their own, often turn to community assisters for help. Unfortunately, Ohio Benefits was not originally developed with these helpers in mind. 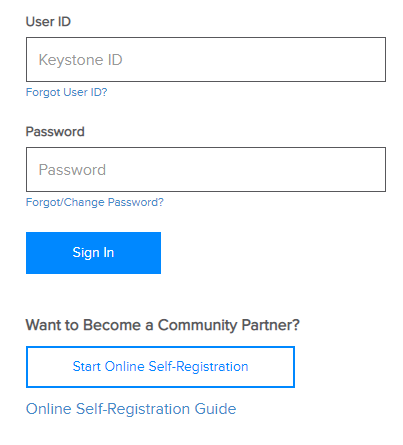 Since 2013, community assisters focused on Medicaid have needed to create unique usernames and passwords for each client through the Ohio Benefits Self-Service Portal and provide instructions on how to access the account and change their password in the future. These assisters are not able to use the Self-Service Portal to check on the status of applications or assist with additional requests for information, unless the client gives them explicit permission to store their individual username and password, which may raise concerns about account privacy and security. For community assisters who historically assisted with SNAP and TANF applications through the Ohio Benefit Bank (OBB), the conversion to Ohio Benefits raised immediate business process issues, since OBB can no longer submit applications online as previously occurred through E-Gateway. Until a more permanent solution can be developed in coordination with ODJFS, OBB set up an electronic fax system to send applications to the appropriate county. Millions of Ohioans now depend on the Ohio Benefits system to manage public benefits that stabilize their lives so they can work towards economic self-sufficiency. The transition to Ohio Benefits also means the end of a unique portal in Franklin County that was developed for local community assisters. Until August 2018, the Franklin County portal allowed community assisters to access their clients’ individual case information through “view only” access to CRIS-E. This status information allowed assisters to help their clients better navigate outstanding requests for paperwork or other information that Franklin County JFS needed to process an application or renewal. Since the conversion from CRIS-E to Ohio Benefits, the Franklin County portal no longer functions. As noted above, JFS customers can log-in to Ohio Benefits with their individual credentials to check on their application status, but service providers cannot do so for them unless they have taken on the legal responsibility of serving as an authorized representative. Some community organizations have expressed concern about the impact that the statewide conversion to Ohio Benefits has on their ability to effectively assist vulnerable individuals seeking application assistance. While these assisters generally support the state’s commitment to building a more modern eligibility system, they fear that successful, community-based outreach partnerships that were built over many years are being abandoned based on the false assumption that consumers will no longer need help applying for, and staying connected to, benefits. Concerns about the fate of current tools for community assisters, including OBB and the Franklin County portal, were raised by stakeholders during community forums over the past year in Summit, Cuyahoga and Franklin Counties, yet ODJFS and DAS have said they have no plans to revive these valued tools in the future. Technology change of this magnitude inevitably comes with unanticipated system defects and confusing new processes. Assist those without access to computers, the internet and/or unlimited phone minutes. Provide guidance or application assistance for consumers when county phone lines are jammed and/or the online application is down. Help individuals with limited English proficiency understand notices sent by the agency (which are only printed in English and Spanish) and interact with the agency (e.g. during the required SNAP interview). Support document collection and post-application troubleshooting to ensure applicants receive correct eligibility determinations. A mechanism to track submitted applications for client follow up and troubleshooting. Automated feedback from the eligibility system on the ultimate outcome of submitted application and associated reasons for denial. A streamlined online application interface that is more consolidated for professional users. For some, direct access to supervisors and managers at County Job and Family Services to discuss case issues (e.g. wrongful denial) before the issues are escalated to state hearings. In addition, it is critically important that external stakeholders, including advocates and elected officials, have access to county-level performance data from Ohio Benefits, including application and renewal completion rates, approval rates, reasons for denial and other metrics. Without this level of transparency, it will be difficult to avoid relying on only anecdotal evidence to judge whether Ohio Benefits is effectively serving those in need. Without this level of transparency, it will be difficult to avoid relying on only anecdotal evidence to judge whether Ohio Benefits is effectively serving those in need. Millions of Ohioans now depend on the Ohio Benefits system to manage public benefits that stabilize their lives so they can work towards economic self-sufficiency. The State of Ohio must remain fully committed to supporting and enhancing the Ohio Benefits system to ensure it lives up to its promise to taxpayers. [13a] [13b] It is critically important that the new administration adopt a mindset of continuous improvement. Among the enhancements that must be considered is a “community assister portal” that could address the needs described above. When exploring future tools for community assisters, key considerations are the tradeoffs between investing in a system that prioritizes “breadth” or “depth.” Inevitably, different assisters will value different things based on their organizational models and clientele. In time, the hope is that states embrace both a comprehensive system that is also closely linked with the agency’s internal eligibility system to facilitate a two-way information exchange. An example of a state committed to both breadth and depth is Pennsylvania, which is profiled below. Prioritizing breadth means supporting a resource that screens applicants for dozens of programs, beyond those managed by ODJFS, that help low and moderate-income households make ends meet. In addition to JFS-managed programs, this kind of system screens for heating and rental assistance, the Earned Income Tax Credit, prescription assistance programs, transportation discounts, college aid and more. This broad approach – exemplified by the Ohio Benefit Bank – is especially helpful for comprehensive social service agencies who report that most people do not realize how many different programs could potentially help them. By comparison, prioritizing depth means building more robust tools for the smaller number of benefits that ODJFS manages (i.e. SNAP, Medicaid, TANF and Child Care.) This kind of system should facilitate two-way communication with the agency’s internal eligibility systems, as the Franklin County Portal did. When community assisters are granted access to a two-way system, they can monitor their clients’ cases in important ways, such as checking on due dates, identifying missing documents, and in some cases, reading client notices. Some of the more modern systems also incorporate nimble communication tools, such as electronic notices, text messaging and mobile document uploads. For community organizations in Ohio to continue to have access to a broad application assistance tool that covers a range of benefits and services, the new administration will need to renew the state’s commitment to make the OBB compatible with the Ohio Benefits platform. For community assisters in Ohio to gain access to an application assistance tool with more depth (similar to the Franklin County portal), ODJFS and DAS need to create a front-facing webpage (a.k.a. “portal”) that allows community assisters to log-in with unique credentials and gain access to individual client cases they support. Additional features could be added over time, as Pennsylvania has done. In 2001, Pennsylvania built one of the nation’s first online application portals for Medicaid and the Children’s Health Insurance Program, called COMPASS. Since then, COMPASS has expanded to include more than a dozen state-administered health and human service programs, including SNAP, cash assistance, child care, energy assistance, free and reduced price school meals and Long-Term Care Services and Supports. The next program to be added will be the Special Nutrition Program for Women, Infants and Children (WIC). Other helpful features developed for COMPASS Community Partners over time include unique tools like the “MA Inmate Release” tool that allows correctional facilities to initiate a Medicaid application through a shortened form. It is important to note that Ohio developed something similar in its previous online application system, E-Gateway, but that was lost in the conversion to Ohio Benefits. In Pennsylvania, the COMPASS Community Partner Portal is not just “nice to have” for community stakeholders, but rather, it is an essential oversight and training tool that preserves application quality and integrity. Specifically, granting unique log-in credentials to community partners would allow performance tracking at the state and organizational level. In the absence of such a portal, community assisters will likely make up their own standard operating procedures, including creating and storing log-in credentials for their clients, which could compromise data security. Ohio’s new eligibility system was built by Accenture through a 7-year contract originally valued at $301 million. Ohio’s new eligibility system was built by Accenture through a 7-year contract originally valued at $301 million. Because Ohio has an Accenture-built system, the author researched other Accenture states in search of a model “community portal” to serve as a starting point. According to industry publications, Accenture developed comparable self-service portals in at least Iowa and Kansas. In Kansas, Accenture built a credential system for “authorized representatives” to access client cases through the Self-Service Portal, which could serve as a starting point for community assisters in Ohio. Specifically, Kansas allows approved authorized representatives to view case information on their clients’ behalf, including current benefits and benefit history, penalties and outstanding overpayments, notices, pending verifications and uploaded documents. With client permission, authorized representatives can also use the Self-Service Portal to report a change or complete a form, such as a SNAP interim report or renewal. Similar to Community Partners in Pennsylvania, authorized representatives in Kansas gain access to unique credentials after submitting a request to the administering state agency for review and approval. This approval can be done at the organizational – rather than individual – level so that anyone trained and certified by the organization can support application assistance efforts. Importantly, these authorized representatives can access all of the cases they support through a single dashboard with a drop-down menu, allowing lawyers and case managers to effectively and efficiently monitor their clients’ enrollment progress. While there are important distinctions between authorized representatives and community assisters (which are not explored in this paper), the technical solution for a community assister portal appears fairly straightforward. The DeWine administration’s top priority for ODJFS should be the stabilization of the Ohio Benefits platform and related technology, as significant system issues remain. Once stabilization has occurred, advocates can begin engaging with ODJFS leadership about priorities for future enhancements. While a community assister portal will inevitably come with a price tag from Accenture and other contractors, contractors are never short on ideas of “what else” the state could be building, so community assisters should speak up for the tools they need as they continue to be called upon by consumers for help. In the big picture, community assisters and other external stakeholders should continue to encourage Ohio to adopt a continuous improvement mindset that leads to a truly user-friendly experience for those seeking assistance. This kind of administrative advocacy can be frustrating in the short term, as requested enhancements can take a long time to get into the development pipeline and tools designed for community assisters can get deprioritized when new demands, such as legislative policy changes or corrective action plans from federal oversight, emerge. In the long run, a modern eligibility system with robust, consumer-friendly tools that embraces the critical role of community assisters is likely to be the most successful. See https://www.communitysolutions.com/research/ohio-counties-modernize-work-support-programs-community-engagement-critical-success/ for additional details. Despite being requested during account registration, an email address is not required, nor is the identity verification process. As of October 29, 2018, there were 349 known high/critical defects, and a plan was in place to reduce that number below 100 by February 25, 2019. See https://ohiobenefitsproject.ohio.gov/Portals/0/PDFs/November_14_2018_County_Readiness_Call.pdf. [13a] The original contract to build Ohio Benefits was awarded to Accenture with a $301 million price tag. See https://www.bizjournals.com/columbus/blog/2013/02/accenture-getting-301m-to-overhaul-it.html. There are lots of possibilities described here: https://www.cbpp.org/research/health/improving-customer-service-in-health-and-human-services-through-technology). Even privately-developed interfaces like the Ohio Benefits Bank depend on state cooperation to ensure a seamless transfer of data between systems. Generally speaking, a community assister is a staff member or volunteer at a non-profit social service agency who helps an individual complete a benefits application, compile paperwork, etc. By comparison, an authorized representative is a personal friend, relative, or lawyer who has been granted permission by an individual seeking assistance to act on their behalf, including during eligibility interviews or state hearings. Unlike community assisters, authorized representatives are responsible for the content of benefits applications and are generally liable for any misinformation provided.